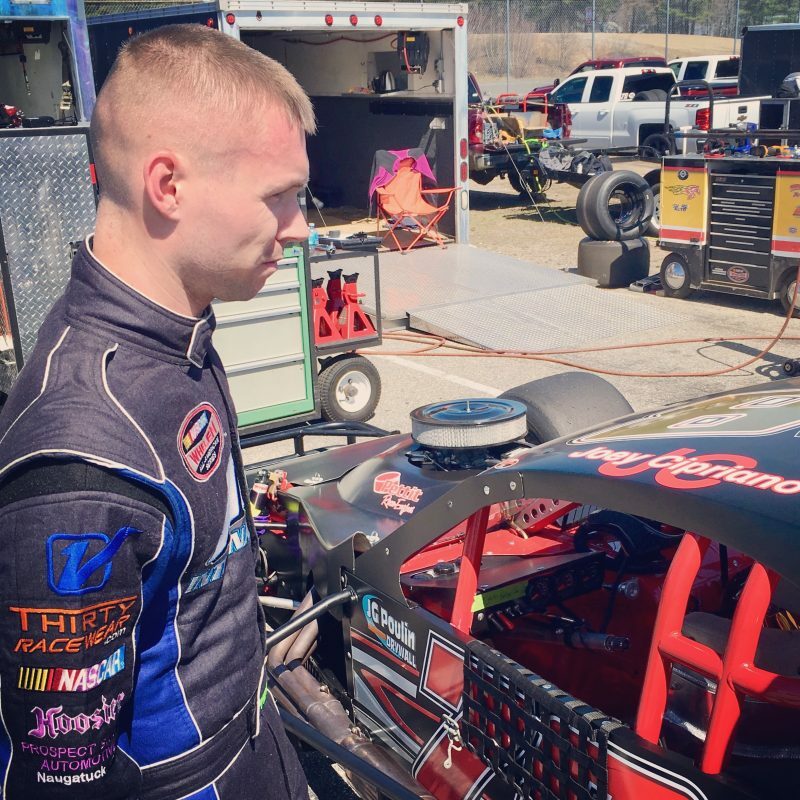 With the Bud Light Open Modified 80 set to take the green flag on July 13 at Stafford Speedway, SK Modified® driver Joey Cipriano is looking forward to the race. Cipriano has already made 2 starts at Stafford this season with the #27 Gunsmoke Stables car owned by Steve Greer in the VMRS 80 in May and the Twisted Tea Open 80 in June. Cipriano was caught in a wreck in the VMRS 80 and finished 24th but with a solid 7th place finish in the June Twisted Tea 80, Cipriano is looking forward to the Bud Light Open 80 and thinks he could potentially have a winning car. With two races already under his belt with the #27 car added to his weekly racing experience in the SK Modified® division, Cipriano feels like he has a good baseline to work with on car setup and his confidence is growing behind the wheel of the higher powered open modified car. In addition to the Bud Light Open Modified 80, Cipriano will be looking to log triple duty on July 13. Cipriano will take part in the 40-lap SK Modified® feature with his #78 J.G. 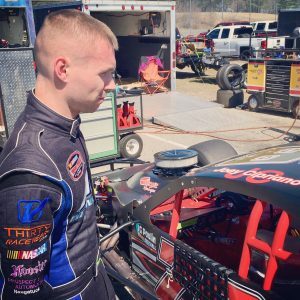 Poulin Drywall machine and he will be hoping for a top-13 finish to be able to take part in the TC 13 Shoot-Out, which will invert the top-13 cars for a 13 lap race that will pay the winner $1,313 in memory of Ted Christopher. With Cipriano coming off his first career SK Modified® feature win on June 22, he has high hopes for the taking down another win. With 1 week left to go until the Bud Light Open Modified 80 and TC 13 Shootout take the green flag, teams are encouraged to contact the speedway office to register for the Mod Open 80-lap event or complete the online form. Tickets for the Bud Light Open Modified 80 are priced at $30.00 for adult general admission, $5.00 for children ages 6-14, and children ages 5 and under are admitted free of charge when accompanied by an adult. Reserved seat tickets are $32.00 for all ages. All ticket prices include 10% CT Admission Tax. Stafford Motor Speedway offers plenty of free parking along with overnight parking available for self contained Recreational Vehicles. OK I’m behind the curve. Dowling in the 25 at the TTOMS Tuesday and no 99 last night at Stafford. What’s up with that? Looks like both Stafford and Lee have a chance to come out as winners next Friday even though the VMRS loyalties are split. Stafford should get the 3rd, 4th, 5th and 9th place drivers in the VMRS top 10 and Lee will get the rest including the top two Nocella and Willis. Aside from the VMRS split the Open field once again looks to be strong with our favorite SK drivers plus a VMRS series top 10ers. Etheridge was strong in the first open, Barrett’s back hopefully, NWMT Fall Final winner Goodale should be there once again and recent TTOMS winner and popular Ron Silk is a new addition. Dana DiMitteo was an interesting sign up as well. So who’s your daddy? The Open race, SK Shootout, $3 Bud Light happy hour or all of the above.